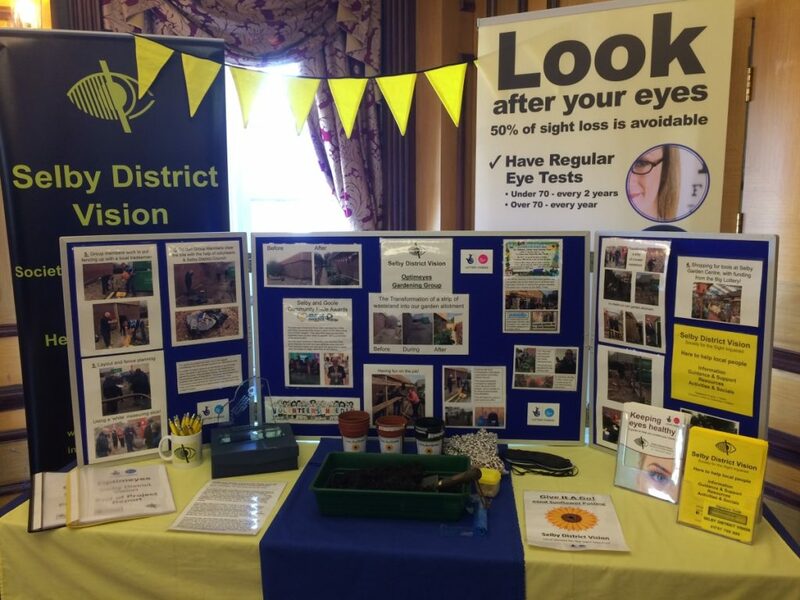 On March 31st we attended a celebration event in Hull, to mark the completion of our Lottery funded ‘Optimeyes’ Project.This has been a hugely successful two-year project, reaching many more visually impaired people throughout the district, as well as raising awareness of eye health, visual impairment and the work of SDV. This was a partnership project, working closely with 5 other local blind charities and the national charity RNIB. We will continue to work together moving forward and have learnt such a lot from the project. Many of our newest opportunities have been able to happen because of this funding and we are working hard to make as many of these as sustainable as possible moving forward. 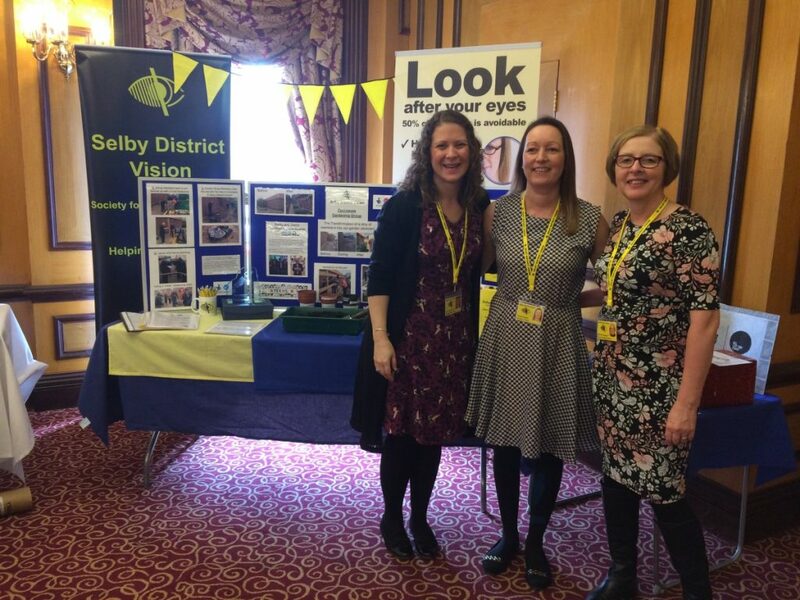 The Optimeyes Gardening Group were nominated for a Selby and Goole Community Pride Award in 2016, for the ‘Reinventing Communities’ category. They were short listed and the award organisers came out and visited the garden, making a short film of the group at work. 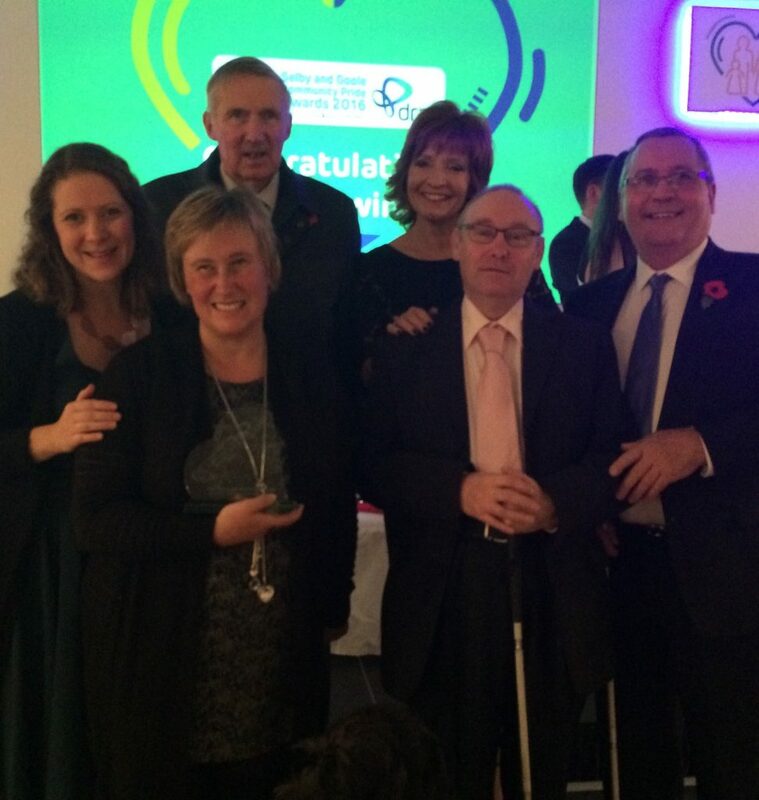 At a red-carpet ceremony in November, key members of the group attended the event and were delighted when they won! They received a trophy and were given the opportunity to speak about the project on stage, which they all did brilliantly.